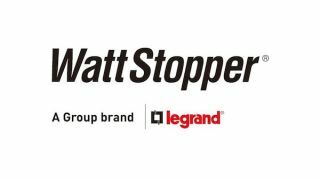 Legrand North and Central America has announced the development of new Wattstopper FDP-300 Series sensors. The sensors, which will launch under Legrand’s Eliot program, will be the first in the market to add occupancy detection to a connected outdoor fixture. Specifically engineered for OEM use, these digital sensors will offer multi-level control based on motion and/or daylight contribution and designed to share information to and from peripheral devices, including wireless nodes and digital LED drivers such as Philips Xitanium SR drivers. Legrand is part of Philips Lighting SR (System Ready) Certified Program and the FDP-300 Series sensors will be the first products being developed as part of this partnership. Outdoor lighting systems are experiencing a market shift from analog to digital sensors and network controlled solutions. This shift to connected lighting and intelligent controls is driven by emerging technologies such as LEDs and initiatives like the Internet of Things (IoT). These sensors enable connected intelligent lighting for outdoor spaces and allow substantial energy and maintenance cost savings. As part of an outdoor lighting solution, FDP-300 Series sensors will help facility engineers and city managers to monitor, control, commission, and diagnose outdoor lighting while maximizing safety and security. Ideal for street lighting applications, commercial site lighting, and parking lots in commercial and city spaces, the sensors will feature robust SR functionality. The FDP-300 Series will come in multiple mounting options to fit with a variety of luminaires. They are IP66 and IK08 rated for the highest protection against water, dust, and other non-corrosive material, as well as against external mechanical impacts, and are code compliant with latest ASHRAE 90.1/ IECC and California Title 24 outdoor lighting control requirements. The Wattstopper FDP-300 Series digital fixture integrated outdoor sensors tie to the larger context of Legrand’s Eliot (Electricity + IoT) program. Eliot is a global Legrand IoT program that aims to advance connectivity and intelligence in the built environment, mobilize Legrand’s capabilities around the world, and speed development of Legrand connected devices wherever the Internet of Things can enhance value for all users.